Despite steady declines in death rates in recent years, lung cancer remains the leading cause of cancer deaths in wealthy countries. In a new study, Yale researchers collaborated with investigators in Europe to examine lung cancer care and survival rates for patients with one of the most common forms of the disease. Led by professor of medicine and of epidemiology Cary Gross, M.D., the global research team analyzed data on more than 170,000 older patients diagnosed with non-small cell lung cancer in England and the United States between 2008 and 2012. 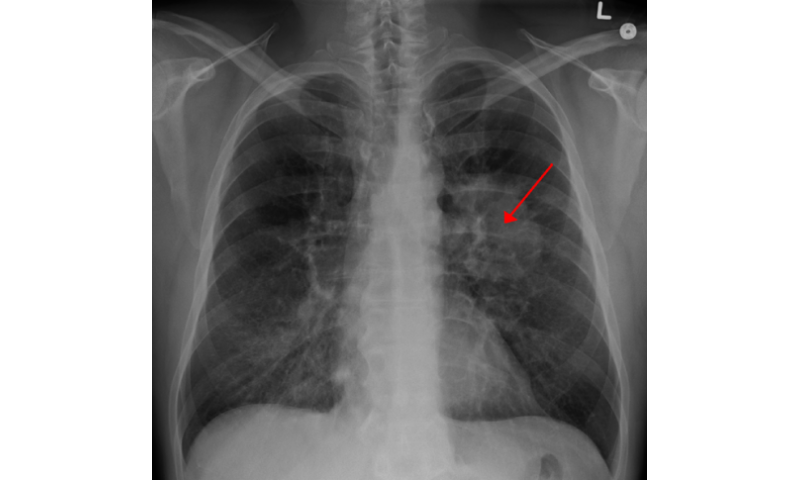 They compared several aspects of lung cancer care and outcomes, including patient characteristics, stage of cancer at diagnosis, treatment, and overall survival. The research team found significant disparities in lung cancer care and survival between the two countries. In the United States, 25% of patients were diagnosed at the earliest stage of cancer compared with 15% of patients in England. Forty-five percent of U.S. patients were diagnosed late, at stage 4, versus 52% of their English counterparts. Differences also emerged in treatment. Of U.S. patients diagnosed at stage 1, 60% had surgical treatment compared with only 55% of stage-1 patients in England. These disparities from diagnosis through treatment appear to contribute to a substantial gap in overall survival rates, said the researchers. Two years after being diagnosed, 31% of U.S. lung cancer patients were still alive, while only 19% of English patients were, the researchers said. "These findings—the first using age- and stage-specific, population-based data—show that lung cancer patients receive more active treatments and have better survival in the United States compared to England. Further work needs to be done to fully explain the reasons for this," said first author Anita Andreano of the University of Milan-Cicocco. While the poorer lung cancer care outcomes in England are cause for concern, there's room for improvement on both sides of the Atlantic, said Gross, who is also a member of Yale Cancer Center. "This should be a call to action in both countries to learn how we could improve care and learn from each other's systems," he noted. "We need to share ideas and best practices, so we can continue to reduce tobacco use, implement effective lung cancer screening programs, and ensure access to high-quality care."